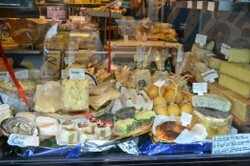 Great gifts for those who love Italian food and drink: preparing it, or simply enjoying it! Looking for the perfect holiday gift for the Italian food lover in your life? Whether you're in the market for Christmas gifts or presents for another winter holiday, choosing the right one for a serious "foodie" can be a challenge, so I've compiled a list of my own favorites related to Italian food and cooking. From inexpensive food magazine subscriptions to high-end pasta machines, you should find something on my list for everyone - and for every price range. Best of all, these are all products and services I am personally recommending from my own first-hand experience. These are food clubs I've belonged to; kitchen tools I've used; grocers whose stores I've visited personally or used via mail-order repeatedly in the past. Forget about standard gift baskets of inferior products, or another boring fruit-of-the-month club; these are gifts that will have an Italian food lover shouting out "Mangia!" and "Molto bene!" You don't have to wait for Christmas, either - these would be great gifts for other celebrations such as birthdays, Mother's Day, Father's Day or even a housewarming party. Image above: Maybe you can't get to Italy any time soon to shop for gourmet delights. But you can still order them online! Photograph by the author, sockii. A Food-of-the-Month Club with a Difference! A.G. Ferrari has been importing quality Italian food products to the United States since 1919. Based in San Francisco, you can order products from their catalog for mail order delivery at any time. They carry wonderful unique pastas, gourmet sauces, pestos, Italian rice, olive oils, sweets, cheeses and everything an Italian chef could want. You can order products individually to create your own gift basket, select one of their pre-made baskets, or best still for someone truly special, gift them a membership in the Cucina Ferrari Club. A 3-month membership is $179.99 and is also available for 6-months, a full year, or ongoing. Every month your recipient will receive an exciting and varied assortment of products from A.G. Ferrari's collection, including a bottle of carefully selected wine. A newsletter will talk about what makes each product unique and give recipe suggestions. In our household, we've been members of one of AG Ferrari's clubs for years and always enjoyed the quality of their products. Read my full review of the Cucina Ferrari Club at my food blog. DiBruno Brothers has been a Philadelphia institution since 1939, when they first opened their grocery store in the city's Italian Market. Now with locations in Center City and the Main Line, DiBruno Bros is a thriving Italian specialty market, serving up excellent meats, cheeses, olive oils, pasta, spices, sweets, olives, vinegars ... everything an Italian food lover could want! And better still, they now offer mail order and gift baskets. You can choose one of their signature baskets, ones for cheese lovers, chocolate lovers, olive oil & balsamic vinegar, coffee & tea or design your own based on the tastes of your gift recipient. Gifts start at less than $10 and the sky's the limit beyond that - including a $200 bottle of balsamic vinegar! Image: The VIP Cheesebox from DiBruno Bros, just one of their pre-designed gift boxes available. A Continuing Gift for all Food Lovers! Gourmet Cooking & Living's Italian Olive Oil of the Month Club is a wonderful gift for any Italian food enthusiast and home chef. You choose how long the recipient's membership will last: 1 month, 2 months, 6 months, or continuing all year - it's up to you to cancel at any time. For $34 a month (including shipping), your recipient will receive a specially selected artisan-produced olive oil from a different region of Italy. A newsletter provided with each bottle will tell about the specific oil received as well as provide tasty recipe ideas and suggestions. I've personally been a member of this club for several years and gift my own mother with a membership in the club every Christmas - she loves it! And if you find a bottle you especially like, you can order more directly from the club's on-line store which features more gourmet delights. You can read my detailed review of the Olive Oil of the Month Club for further information on this great service. Image: A sample bottle of olive oil from Gourmet Cooking and Living's Club. Photo by sockii. There are plenty of food and recipe magazines out there, but Tastes of Italia is different. Published 7 times a year, this beautiful magazine presents authentic recipes from all around Italy, from quick weeknight meals to elaborate feasts for holiday gatherings. Learn about the cheeses and wines of Italy, visit cities small and large, hear stories from Italian farmers and artisan food producers and much more. Every issue is like a quick trip to Italy for the food lover! No Italian kitchen would be complete without at least several pieces of beautiful Italian pottery, or Maiolica. 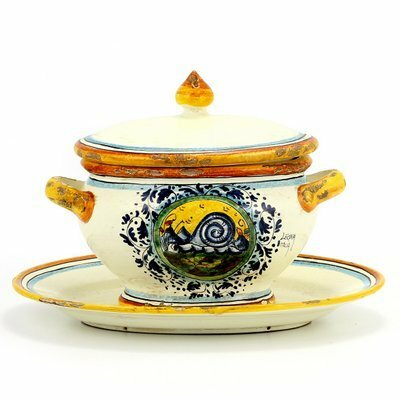 These colorful, hand-painted dishes, bowls, plates and platters are attractive as well as functional, and would make a gift for an Italian food enthusiast which would be sure to be enjoyed for many years to come. 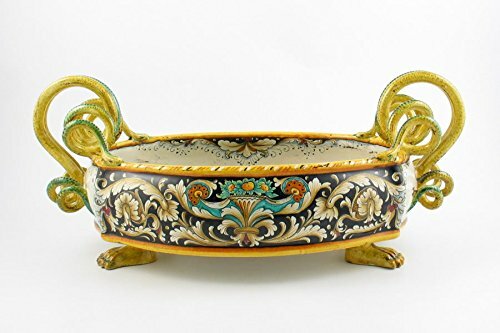 Different regions and cities in Italy produce unique styles of maiolica, and you can find pieces reproducing classical themes and designs as well as colorful fruit and flower patterns. Image: Italian ceramics in my personal collection. 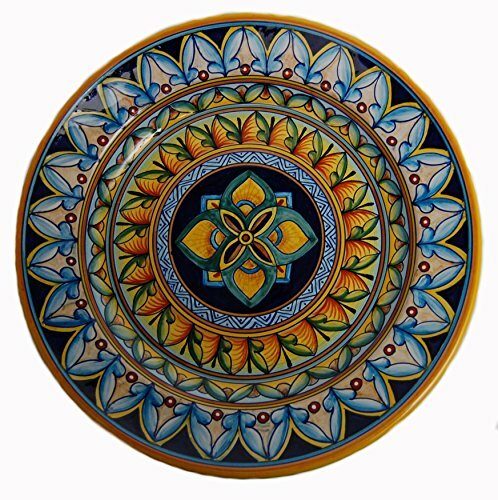 Search For a Great Deal on Maiolica from Italy Today! Do you know someone who loves Italian spirits and aperitifs? Then a fun gift can be a bar accessory or decorative item related to their favorite Italian beverage. Perhaps a vintage Cinzano poster, a set of limoncello glasses, or a Cinzano patio umbrella would be a unique surprise at Christmastime. I’ve compiled a number of gift guides related to various Italian spirits, all of which are linked below. These items all celebrate both unique Italian taste and style. 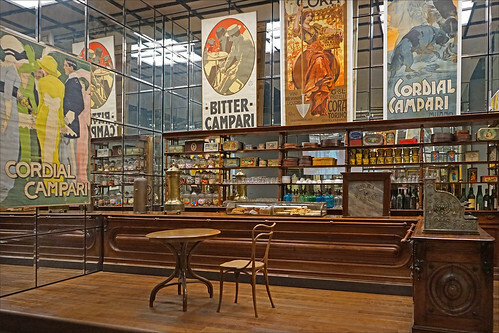 Cinzano is a classic Italian beverage company, loved by many around the world. Cynar is a popular Italian bitter liquer, enjoyed both straight and in delicious cocktails. Amaretto is one of the world's favorite liquers. Learn more about the history of this delicious spirit and shop for related merchandise and memorabilia. The Italian beverage company Martini & Rossi is well-known for their spirits - as well as their glamorous image. Learn more about Campari and check out cool related merchandise celebrating the Italian aperitif. Peroni is an Italian brand of beer popular around the world. Here you'll find great Peroni collectibles just perfect for any fan or serious collector. Limoncello is a delicious Italian specialty drink made with only the best ingredients - traditionally lemons from the Amalfi Coast of Italy. Grappa is an Italian specialty, often enjoyed after meals, or with a shot of espresso! Learn more about the history of this unique wine-based product. Don't forget to order your holiday gifts in a timely fashion. Most retailers will post their deadlines for ordering to ensure delivery in time for Christmas or other big volume holidays. And if you're ordering anything perishable, be sure the recipient will be home to receive your gift. Authentic pizza can be a challenge to prepare at home – but not when you have the right equipment. Forno Bravo sells a wide range of pizza-making equipment from Italian flour and San Marzano tomatoes to backyard pizza ovens. But if you know someone who loves pizza and doesn’t have room for a specialized oven, why not get him a pizza stone for the oven? Pizza stones help pizza cook faster and at more even temperatures in residential, regular ovens. I have a pizza stone from Forno Bravo and love it, using it regularly to make thin-crust Neopolitan pizza as well as bake breads, rolls and pies. Forno Bravo’s pizza stones are excellent quality and durable, and a great gift for any pizza lover. Image above: Homemade pizza using a Forno Bravo pizza stone. Photo by sockii. 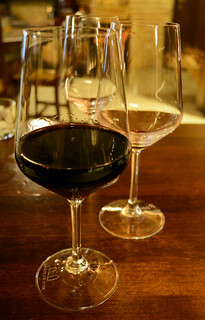 Know someone who loves good and interesting Italian wines? Then why not gift her with a subscription to one of Celebrations Italian Wine Clubs? Club subscriptions start at $39.99 for the Italian Artisan Series of one red wine and one white wine per month, but many different options are available. For $114.99 a month and for a true wine lover, you can join the Italian Collector Series, receiving 2 premium Italian red wines per month. Memberships are available for varying lengths of time, from monthly to prepaid for a full year. These unique wines are often not easy to find in typical wine retail shops in the United States and can provide a wonderful introduction to the wines of Italy for new wine enthusiasts. Here's a gift for someone you really love—and who seriously loves gelato. 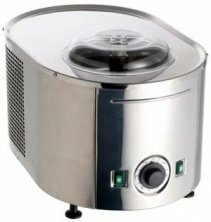 This machine is perfect for anyone who enjoys Italian style gelato, ice cream, sorbet and other frozen treats. This Italian-made, super-stylish machine makes it easy to prepare gelato at home that's as good as you'll get in a fancy gelateria in Italy. Compact, quiet and oh so efficient, this machine machine does all the hard work for you. Just prep your chosen ingredients, add to the machine, and let it stir and chill until smooth and creamy. The price might seem steep but if you really love gelato, this is the machine you want for your kitchen. I speak from experience as we have one in our kitchen and love it! It especially gets a workout during the summertime when there's a bounty of fresh fruit to make delicious cool treats like blueberry, peach or cherry gelato. Image: My Musso Lussino ice cream maker. All about gelato: the Italian frozen dessert delight that's like ice cream: but with a twist! I hope I've given you some ideas and inspiration while shopping for that perfect holiday gift for the Italian food lover. If you have any other great gift ideas, please feel free to leave a suggestion here...and thank you for reading! Gift giving ideas for people who absolutely love pasta. Gourmet gift packages, cookbooks, pasta-making equipment and much more! Do you know someone who loves to cook - but they seem to have every kitchen gadget under the sun? Then check out this gift guide for some unique "foodie" gift ideas.